The ranking was prepared by Skyscanner, one of the largest airline ticket and hotel search portals. It shows that a two-week trip to Azerbaijan for two will cost the Russian travelers $1,616, and $426 of this figure is the cost of the flight. Thus, Azerbaijan took the sixth place among 23 countries. “Flame Towers, Ateshgah fire-worshipers temple, burning Mount Yanardag and fire cocktails in the panoramic restaurant 360 Bar Hilton Baku are not the all things with which the Land of Fire surprises,” the ranking authors note. They also pointed out the Carpet Museum, Gobustan with ancient rock art images, and the futuristic Heydar Aliyev Center with traditional and modern art. “Moreover, take an oil bath in Naftalan, conquer the mountains in the Gusar region and taste the local cuisine in Shaki,” the authors added. 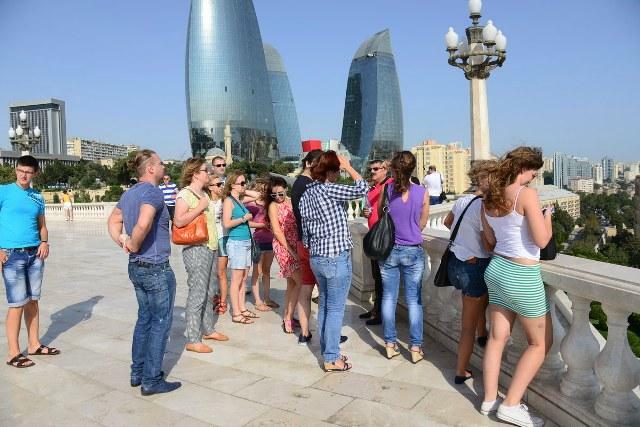 Skyscanner experts calculated that the average daily budget for two in Azerbaijan will be $85. Of this amount, about $35 will be spent on housing costs, $32 for food and $18 for entertainment. In 2017, the number of tourists coming to Azerbaijan increased by 20 percent compared to 2016 and reached 2,691,998 people. This is the highest figure observed so far. Travel and stay in Azerbaijan are cheaper than vacation in Hungary, Kazakhstan, Poland, Vietnam, Bulgaria, Portugal, Montenegro and a number of other countries, according to Skyscanner’s ranking. As for the cheapest rest, Russian tourists can find it in Belarus. The total travel budget will be $1,358. The top three also includes Moldova ($1,365) and Abkhazia ($1,498). The most expensive destinations for Russian tourists are Thailand ($2,134), Kenya ($2,335) and Cuba ($2,755).